I’m writing this late in September. On the first Sunday in October, we shall be holding our Harvest Thanksgiving services. Notice, I don’t call it a “Harvest Festival”. A “Harvest Festival” always meant something rather different. That label was used for the enthusiastic celebrations that once marked harvest-time in the English countryside – and which usually had little to do with Christianity or church. If you want a graphic picture of a traditional “Harvest Festival” in Victorian England, you could read Thomas Hardy’s story, Far from the Madding Crowd. Here’s a sample of what his hero finds when he enters the barn where the harvesters have gathered. “This was the night which had been selected… for giving the harvest supper and dance. As Oak approached the building the sound of violins and a tambourine, and the regular jigging of many feet, grew more distinct. He came close to the large doors, one of which stood slightly ajar, and looked in. The central space, together with the recess at one end, was emptied of all encumbrances, and this area, covering about two thirds of the whole, was appropriated for the gathering, the remaining end, which was piled to the ceiling with oats, being screened off with sailcloth. Tufts and garlands of green foliage decorated the walls, beams, and extemporized chandeliers, and immediately opposite to Oak a rostrum had been erected, bearing a table and chairs. Here sat three fiddlers, and beside them stood a frantic man with his hair on end, perspiration streaming down his cheeks, and a tambourine quivering in his hand. In Hardy’s story, the night ends in disaster when fire breaks out on the farm and the harvesters, senseless with drink, are incapable of rousing themselves to put it out. When did harvest services begin? Churches in England rarely held special services to mark the harvest. There were no special services for harvest included in the Church of England’s Book of Common Prayer. As far as I can gather, the first Anglican church to hold special harvest services was in the Cornish parish of Morwenstow. The vicar, Robert Hawker introduced them there in an attempt to woo his parishioners away from the wilder celebrations they were used to. The first services were held on the 1st October 1843; grain from the first sheaf of corn cut at the harvest was used to make bread for the communion services held on that day. The idea of church harvest thanksgiving services spread very quickly not only within the Church of England (and its schools) but within “other denominations” too. Hymns written for the new-fangled harvest services soon found a place among “the hymns everyone knows”. Harvest joined Christmas and Easter among the non-negotiable elements in the Christian calendar. For the past hundred year churches up and down the land have decorated their buildings with fruit and vegetables once a year; sung We plough the fields and scatter and Come ye thankful people come; and taken up special collections to provide help for the hungry at home and abroad. And we’ve bought into that tradition. Not because we have to. The Bible nowhere says that New Testament churches must hold annual harvest thanksgiving services. Nor is there any denominational body that decrees that we must. We are an independent church, free to order our meetings and activities as we see fit. We’ve held harvest services for one reason only – because we’ve judged that it’s a good and wholesome thing to do. We’re not committed to doing it indefinitely. If we decided one year that it was unhelpful to hold harvest services, we would abandon them. But this year, we’ve decided again to go ahead. And I’m glad. Why? Why have we felt it’s good to hold these special thanksgiving services? That’s the first and most obvious reason. It is always right to give thanks. And without such special services, we might easily forget to give thanks to God for providing us with food and drink. It is so easy to take for granted the gifts we receive every day. When the Lord gives us an unusual gift or helps us in some special way, we are quick to give thanks. But we can easily overlook the things he does for us every hour, every day, every week, every year. We’re like children who give thanks for the special treats they receive on their birthdays, but never bother to thank mum for the way she cares for them day in and day out. Planning special harvest services means that there is at least one Sunday each year when we do thank God for our daily bread. Sure, let’s try to remember to give thanks every Sunday, and indeed every day of our lives. But we can make sure that we do it together at this harvest-time. A second reason for holding thanksgiving services is this. Because at those thanksgiving services, we remind ourselves that our food and drink does not arrive by some automatic and inevitable process. People talk about “the laws of nature” or “the agricultural cycle” or “the global economy”. We talk about God: the God who makes the grass grow, who sends the rain and the sun, who brings lambs and calves to birth, who guards the ships that carry food from one country to another. God did not just create the world and then step back and leave it to tick on by “natural processes”. He personally directs every single event that happens in his world – the germination of a single seed, the falling of a single raindrop. 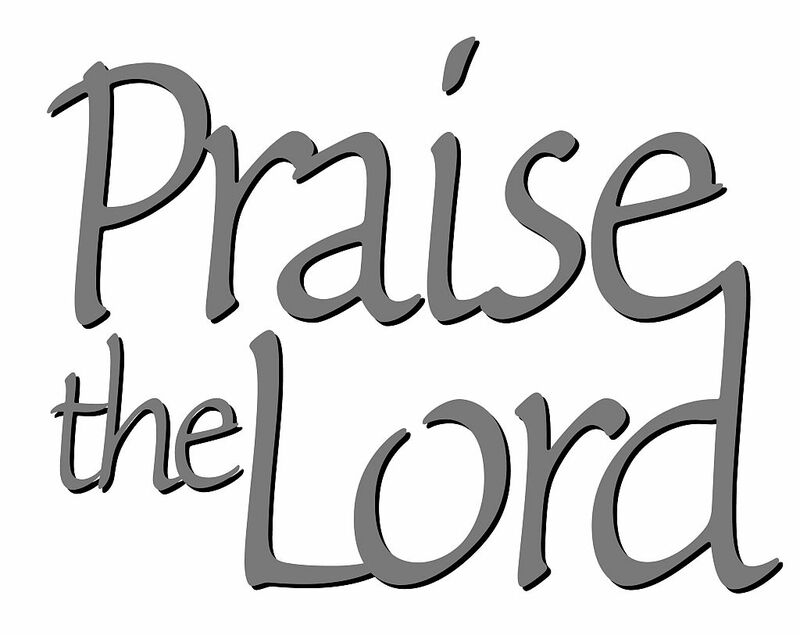 Read Psalm 103 and see how the Psalmist rejoices in God’s personal control over all “nature”. “From your lofty abode you water the mountains. The earth is satisfied with the fruit of your work. You cause the grass to grow for the livestock and plants for man to cultivate, that he may bring forth food from the earth and wine to gladden the heart of man, oil to make his face shine and bread to strengthen man’s heart… The earth is full of your creatures… these all look to you, to give them food in due season. When you give it to them, they gather it up; when you open your hand, they are filled with good things. When you hide your face, they are dismayed; when you take away their breath, they die.” (vss 14-29). Most of us in this church are townies. We buy our food in supermarkets or, ready-cooked in restaurants. We may never see wheat growing in fields, or cows being milked. We so easily forget that none of these things happen apart from God’s providence. Perhaps we need an annual reminder even more than our brothers who live in agricultural communities, in the UK or overseas. Christian farmers, whether in Charlesworth or in Kenya, know that there is nothing automatic about rain or sunshine. They pray for rain knowing that if God doesn’t send it, there will be harvest. We need that same awareness of God. That was God’s promise. And he sealed it with a covenant – a binding pact. Why is the earth preserved from day to day and from week to week? Why is there stability in nature, seedtimes and harvest, summers and winters, days and nights? Because of the promise and the covenant God made on that momentous day. Isn’t it right to have an anniversary service to give thanks? Shouldn’t we celebrate the mercy that made the covenant, and the faithfulness that has kept it? And here’s a fourth reason to hold harvest thanksgiving services. They are a reminder of the great plan that God is carrying through for his world. God has built into life on earth the principle that each year there should be a harvest. The harvest brings to fulfilment the work that the farmer has been doing throughout the year, sowing, watering, weeding, and finally reaping. And the Bible teaches that God’s whole plan works according to that principle. Jesus said that God is like a farmer, who sows and then patiently waits until the time for harvest comes. And then he goes out and reaps his fields, gathers in the grain, and burns the weeds (Matthew ch 24 vss 24-34). What did Jesus mean? The seed Jesus spoke about is the gospel – the message of salvation through Jesus Christ. God is spreading it like seed throughout the world. And it’s growing now. Every person who believes the message and turns to Christ is the “fruit” that grows from that seed. And when Jesus Christ returns and history comes to an end, God is going to “harvest” those people – he’s going to gather them into his house to be safe evermore. They are God’s reward for all the patient work he has been doing throughout history. He’s held back the forces of destruction in the world, he’s given his Son to die for the world, he’s sent his Spirit to work in the world, he’s sent his message throughout the world, and when his harvest time comes, he will have his reward – people saved from the world, holy and happy forever. So whenever we hold our harvest thanksgiving services, we’re giving thanks not just for the harvest human beings have gathered on earth. We’re also giving thanks for the harvest God is going to gather in when this world ends. Our harvest thanksgiving is just a foretaste of the great harvest celebration that will happen then! God ‘s people in Old Testament times knew they should praise him for the harvest. Shouldn’t we, too? In fact, shouldn’t we praise him with more enthusiasm and delight than they did? After all, we’re closer to the great harvest – and that’s something to celebrate!